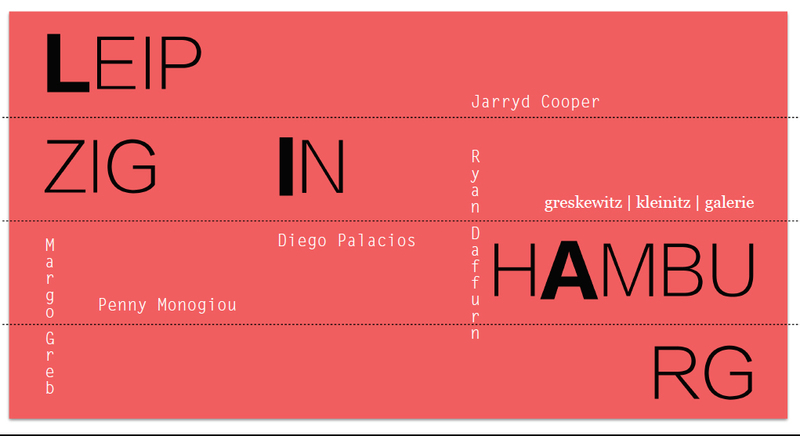 Jarryd Cooper, Ryan Daffurn, Margo Greb, Penny Monogiou und Diego Palacios! 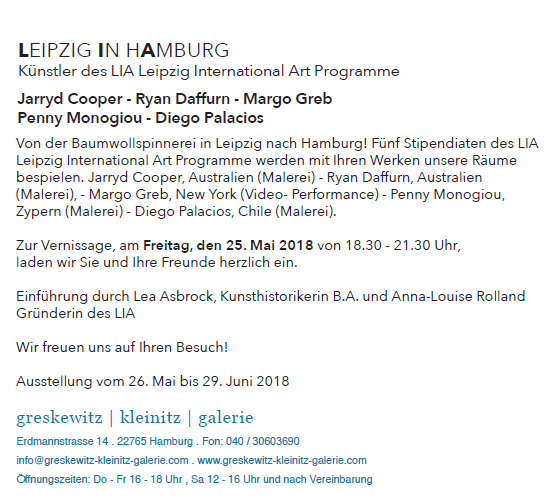 The artists will be present. Opening with introduction by art historic Lea Asbrock and Anna-Louise Rolland, Founder and Director of LIA. Our gratitude to Penny Monogiou for the organisation!